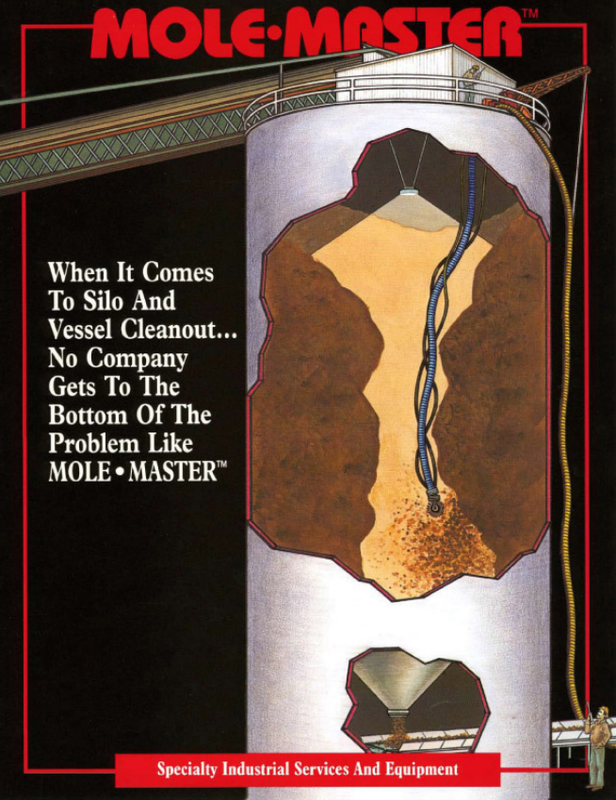 For more than three decades, Mole•Master has set and maintained the gold standard in both engineered silo cleaning equipment and bin and silo cleaning services. 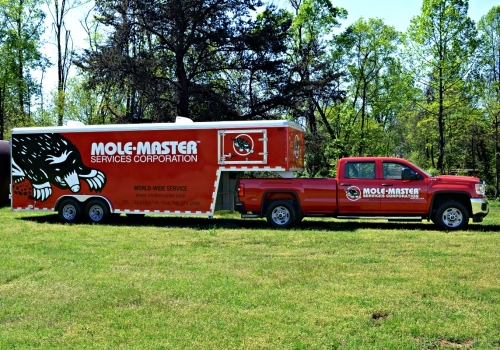 Mole•Master has serviced clients in all 50 states plus over 33 countries worldwide. Our remotely operated equipment provides you with the safest and fastest cleanout of bulk storage and process vessels, and our top-of-the-line fleet ensures that Mole•Master personnel will always arrive on time, when needed. 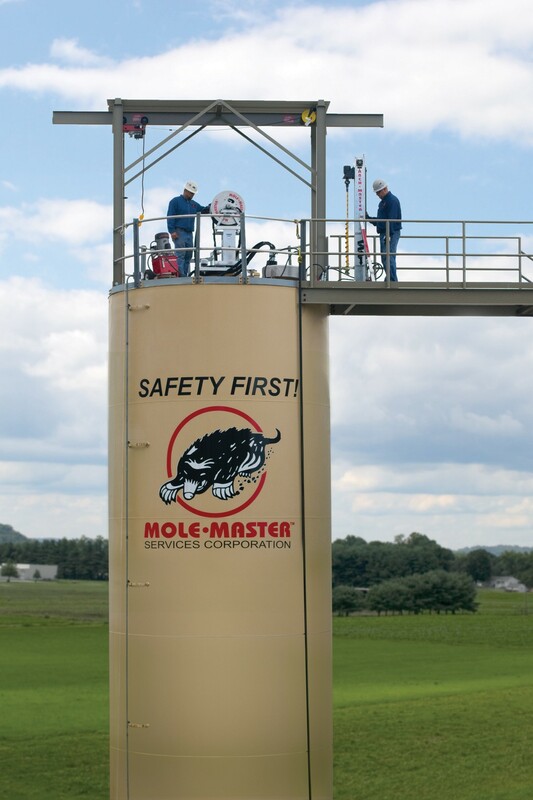 Mole•Master’s Big•Mole™ Silo and Bin Cleaning Service eliminates hazardous human entry and associated confined space entry problems. Mole•Master works in a diverse range of industries and has cleaned a multitude of silos, bins, bunkers, process and transportation vessels, storage vessels, including grain bins and silos, cement silos, pre-heater towers, coal bins and bunkers, ethanol and biofuels silos, feed mills, shipping terminals, and many more. Mole•Master’s proprietary Big•Mole™ bin and silo cleaning service negates the need for human entry, making it the safest, most efficient, and most effective methodology available in the industry. 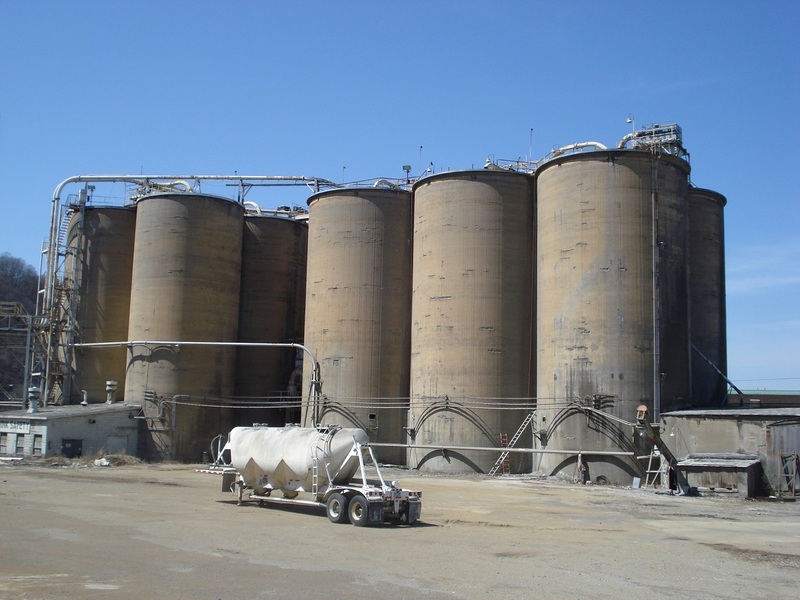 With literally scores of materials from cement to coal to chemicals to grain being stored in bulk storage facilities around the world, no two silo cleanout projects are the same. Mole•Master breaks these types of projects down into three categories: low degree of difficulty, medium degree of difficulty, and high degree of difficulty. The graph below illustrates the different levels of difficulty encountered when cleaning out or unclogging silos. A typical bell curve illustrates that approximately 60% of the projects fall into the medium degree of difficulty (MDD) level while the other 40% fall into either the low (LDD) or high degree (HDD) of difficulty level. LDD projects are sometimes handled manually by the plant’s maintenance crew. MDD projects typically require equipment such as the Junior™ 360º or Arch•Master™ which can be provided by Mole•Master as a turnkey service or purchased/rented for a specific project. HDD projects require the ultimate level of experience and safety that can only be accomplished by highly trained technicians who have completed these types of projects in the past. 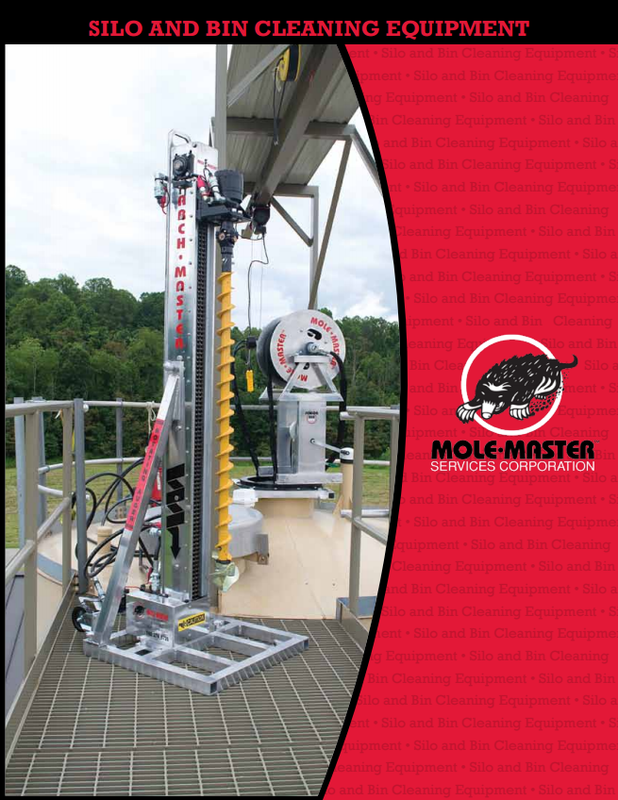 Mole•Master’s Big•Mole™ System is the only turnkey silo cleaning service available to handle HDD projects on a reliable and consistent basis. 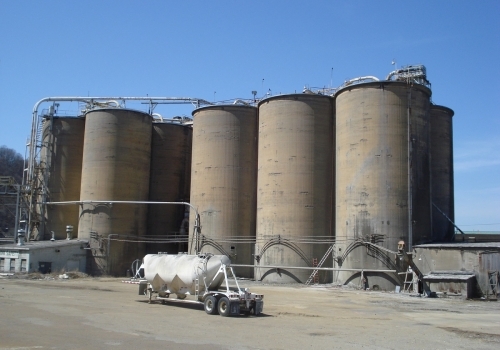 High-degree-of-difficulty jobs generally involve the storage of cement, coal, limestone, gypsum, clinker, and pelletized or hydrated lime or other hygroscopic bulk solids. However, any storage vessel can experience hardened build-up, from the grain industry to food processing to glass to biofuels. Flow problems involving these types of tough blockages can only be solved using the proprietary technology of the Big•Mole™ System. Once Mole•Master is on the job, we handle everything from initial planning to project execution to final demobilization using our professional project management approach. This total turnkey service assures that nothing is left to chance. 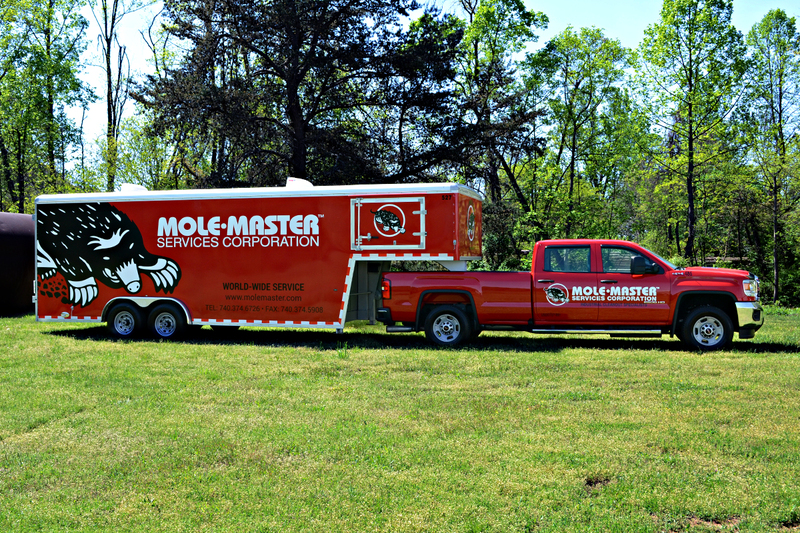 The Mole•Master team does not leave until your facility is clean and restored to planned storage capacity. 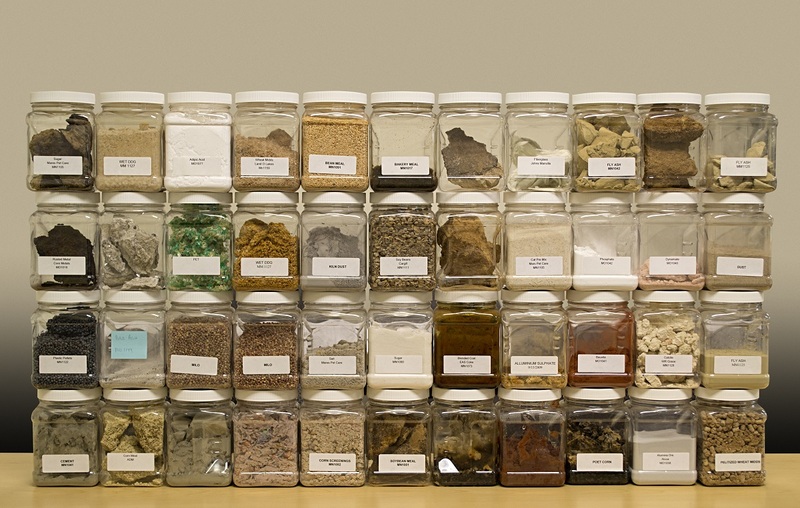 Versatility: Mole•Master will work on any type of bulk storage vessel, no matter what type of material is being stored and no matter how long the material has been non-flowing. No Human Entry Required: No danger of injury due to collapse of stagnant material. All equipment is controlled remotely from the silo roof. We use NO chemicals and NO explosives. There is no chance of contaminating stored materials or damaging the vessel. Total Material Recovery: In virtually every instance, valuable material is freed and readied for further processing or loadout, as required. Lost Storage Capacity is Recovered: Storage vessels are restored to 100% of their planned capacity. Downtime is Minimized: The Big•Mole™ System is so efficient that jobs that previously took weeks or even months now take only days. The result is less downtime and lower costs. 100% Dry Process: No water or other liquids are used. Therefore, there is no water damage to the material or facility. No mess. No mud. No expensive cleanup. 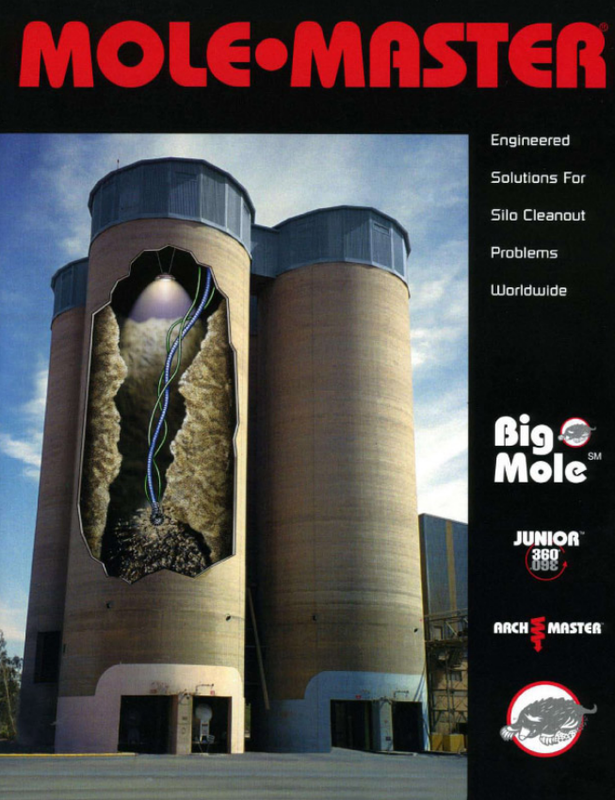 Non-Sparking Equipment: The Big•Mole™ System utilizes unique non-sparking equipment which is mandatory for potentially hazardous environments such as grain and coal storage facilities. Preventative Maintenance Programs: Mole•Master offers routine maintenance programs tailored to the needs of your plant. Preventative maintenance can help avoid emergency call-outs for clogged bulk storage and process vessels. Mole•Master lives by the credo that safety is job #1. Whatever the project, safety comes first. Learn more about our safety philosophy. The Junior™ 360º is available with either a pneumatically-actuated cutting head or a hydraulically-actuated cutting head. The Junior™ is flexible enough to work at the top of any storage vessel, regardless of size or shape. Offering 360º coverage, the Junior™ 360º is easy to set up and easy to take down, which helps maximize efficiency and minimize downtime. The Arch•Master™ Portable Auger Drill is engineered to create flow channels up to 150’ (45 M) deep. The Arch•Master™ can drill even the hardest material, and it can work in concert with the Junior™ 360º to make sure all material in the vessel is flowing properly. Ideal for rings of hardened material, the Safe-T-Shot™ CO2 Blasting System can remove tons of material with a single electrically ignited charge. Offering safe, precision blasts, Safe-T-Shot™ does not require vessels to be offline, minimizing downtime. Along with this engineered equipment, Mole•Master also offers industrial vacuum services, media blasting services, and more. Visit our specialty services page to learn about all of the silo and bin cleaning services we offer, and then be sure to contact us for the services you need.